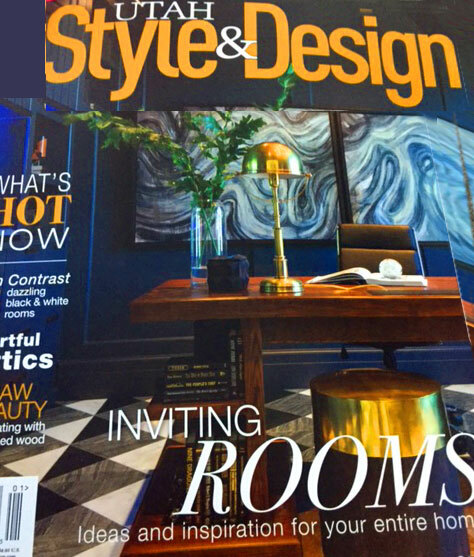 The Park City, Utah home of architect Scott Jaffa, who installed a Crestron home-automation system in combination with a Lutron lighting system. Jaffa Group & designer Jenny Samuelson give mountain style an eclectic edge mixing narrative of past and present in her family’s new Park City home. View Scott Jaffa discuss architecture and design. At Jaffa Group Design/Build, the commitment to excellence includes LEED-certified design, cutting-edge details and an all-encompasing process that never fails to put the client first. With this gallery, we set out to highlight the beautiful rustic-contemporary design work on the White Pines house by Jaffa Group. Photo Friday: Deer Valley Remodel ~ by Scot Zimmerman. Change comes fast to resort towns like Park City. It doesn't seem that long ago that I photographed new log homes in the Bald Eagle development of Deer Valley. 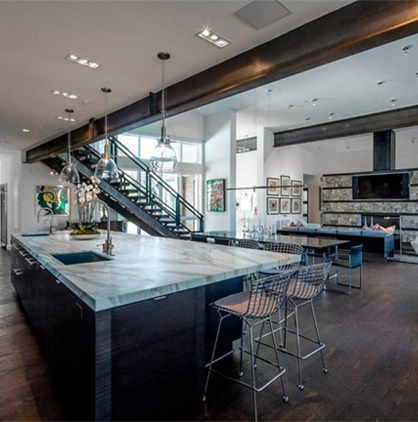 Promontory Club, Park City A Park City Private Luxury Residential Community You Can Call Home. Whether you buy or build, you can express your own personal style within the flexible architectural guidelines that enhance and protect the value of your mountain home. Change comes fast to resort towns like Park City. It doesn't seem that long ago that I photographed new log homes in the Bald Eagle development of Deer Valley. Intent on creating the perfect Park City dwelling for their young family, architect Scott Jaffa and real estate pro Shane Herbert designed and built a home that's as sustainable as it is spectacular. Designer Jenny Samuelson pairs with architect Scott Jaffa to give her family's remodeled Park City home a lovely, livable style. 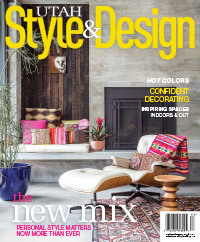 One of the things I enjoyed about the projects I photographed for him was his use of color. As you can see, he's not afraid to add color and texture to these homes. At The Colony at White Pine Canyon, in Park City, UT, the Jaffa Group created a 9,683-square-foot home on seven acres with panoramic mountain and valley vistas. The three-level ski-in/ski-out home, located where the Boogieman and Pipedream trails merge, features a sweeping deck and balconies across the back. Located in the Colony near The Canyons Resort in Park City Utah. Jaffa's house is a Green Certified Home. As you enter the private, gated community of The Colony at White Pine Canyon, know that you will be treated to spectacular scenery and abundant wildlife as you rise into the mountains of The Canyons© world-class ski resort. This 9,683-square-foot home has been designed and built by Jaffa Group Design/Build according to the National Association of Homebuilders Model of Green Home Building Guidelines and Gold Standards. It's not quite the Huntsman compound in Deer Valley, but there's another spectacular home for sale garnering media. GrandView Lodge at The Colony was the 2009 "Best of Show" winner at the Park City Area Showcase of Homes and was recently awarded "Green Build Home of the Year" for all the state by the Utah Home Builders Association." Luxurious Parade of Homes Winner in The Colony "Located in The Colony at White Pine Canyon, this spectacular three-story, 9,863 square foot home is aptly named GrandView Lodge. Built by the Jaffa Group, the GrandView Lodge has been awarded certifications with Energy Star, NAHB Green (Gold), Therm Wise and Builder Challenge." 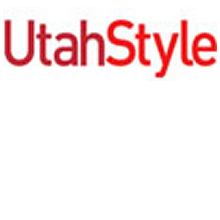 America's Top 10 Most Impressive Ski Homes "Located in one of two major resort towns in Utah, this custom home was built to the National Association of home builders Green Home Building Guidelines and sits atop a seven acre lot. Portions of the home feature two-story windows peering out on pine forests, along with a sweeping deck that features a hot tub and fire pit. The home also features an entertainment area with a 110" screen, a billiards room and a fitness room, the last of which takes advantage of the area's mountain views." "The mind of architect Scott Jaffa is always in motion. He's one of those guys with a million good ideas. So when the opportunity to build his next home presented itself, Jaffa knew exactly what he wanted: a home both contemporary and rustic, but full of suprises and envelope-pushing design..."
"Just as a chef knows the secret to a perfect soufflé and a horticulturist can coax magnolias from the desert, architect/builder Scott Jaffa and realtor Shane Herbert understand homes, and more important, the secrets of creating an ideal modern dwelling. 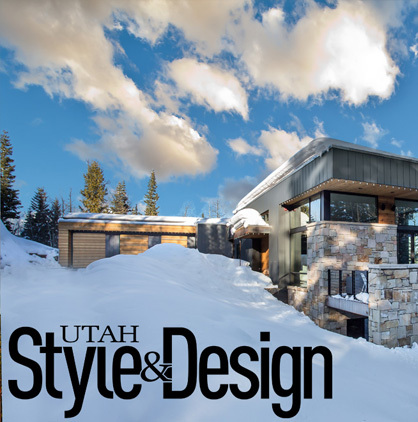 For a textbook lesson on form and function, look no further than the pair's Park City home..."
Full page ad was featured on back cover in the spring 2008 addition.